The Bronx rapper's incredible ascent fuels every fabulously braggadocious bar. Quickly topping the charts and earning Cardi the accolade of first female rap artist to top the Billboard Hit 100 since Lauryn Hill in 1998, the single heralded big things in the form of her first album 'Invasion Of Privacy'. Dropped in April 2018, it proved a breakout success and positioned its maker as one of the most powerful women in hip hop. On it, her trademark wild personality and ferocity blasts away the rambling banalities of mumble-core rappers around her, culminating in a big, instantly recognisable type of rapping that makes no apologies for its brazenness. Larger than life both on stage and on record, Cardi B revels in revitalising rap's golden age with outrageous costumes, bountiful bling and a fiery performance style. 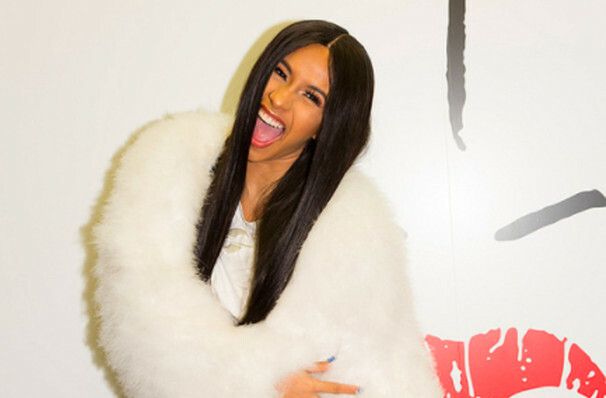 With a new album about to drop, don't miss your chance to see Cardi B's wild antics live on tour! Seen Cardi B? Loved it? Hated it? Sound good to you? 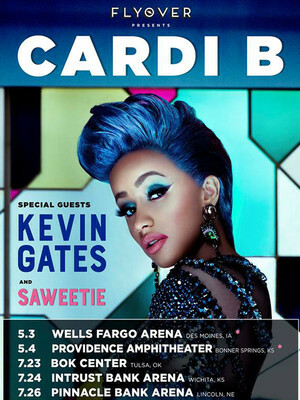 Share this page on social media and let your friends know about Cardi B at St. Josephs Health Amphitheater at Lakeview.